Earlier this week, researchers at Demos, one of our Partner organizations, released a new report based on a 2008 survey of credit card use by low- and moderate-income households. The Plastic Safety Net updates and expands the results of a similar survey conducted in 2005. The current survey was limited to households that had incomes between 50% and 120% of the local median income level and that had carried a credit card balance for at least three consecutive months before they were interviewed. -The average low- or moderate-income household had credit card debt of $9,827. 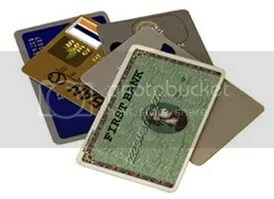 -The most frequently cited expense leading to credit card debt was out-of-pocket medical costs. -The average interest rate paid was 14.8%. -About one-quarter of households were charged interest rates of over 20% (rates this high were paid by 22% of white households, 30% of Latino households, and 32% of black households). -About one-half of households had been charged late payment fees, and these households had paid an average of four such fees. -Approximately one-half of the households that were charged late fees – that is, about one-quarter of all households in the survey – had seen their interest rates increase as a result, with the average penalty interest rate being 26.9%. Reports from Demos consistently place the problems of consumer debt in the larger context of stagnating labor incomes, increasing costs of basic living expenses, and growing economic inequality. Accordingly, this report’s most important recommendations are for strengthening the social safety net, improving the earnings of low-wage workers, and bringing health care expenses under control. However, its final recommendation is to establish a Consumer Financial Protection Agency, as called for by the Obama administration. The existence of a CFPA could ensure that the Credit CARD Act signed into law this May would be vigorously enforced, and could provide prompt and effective responses to the new “tricks and traps” that the credit card industry is sure to come up with in the years ahead.